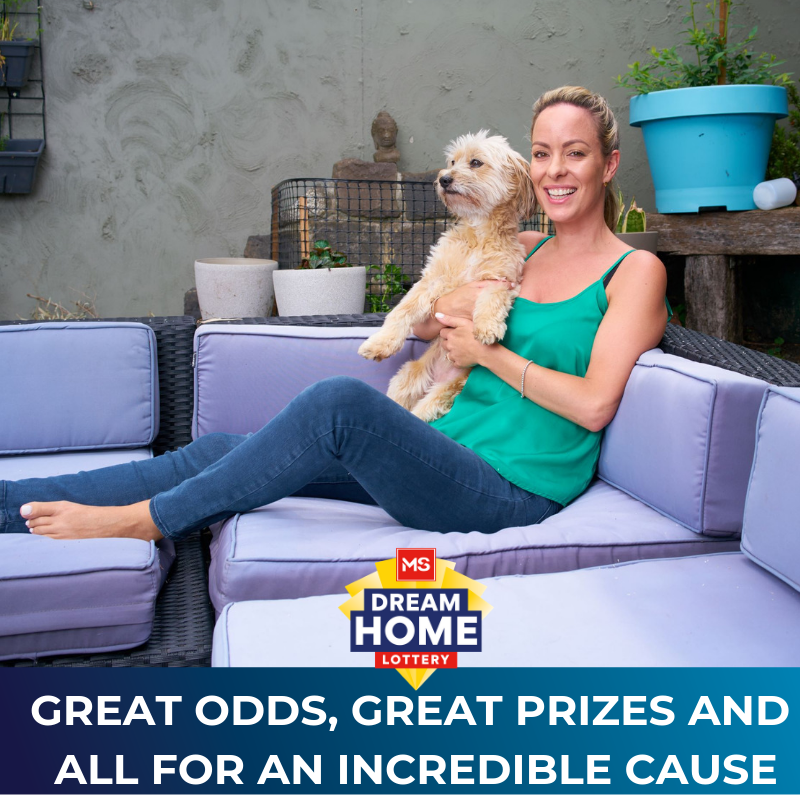 Amanda is proud to be an Ambassador for this year’s Dream Home Lottery. "I found MS Limited who guided me through the shock of my diagnosis, gave me any resources that I needed to help me feel supported. In 2004 when I was 24 years old I was diagnosed with MS. From that moment on, what I know now is that I started to focus my energy on what I didn’t want, in fear of what might happen to me. In 2009 at age 29 my worst fears were realised and the entire LHS of my body became paralysed. I could not walk, wash or feed myself, or simply get dressed without help. Living in rehabilitation for several months, I was told I may never walk again. With the odds stacked against me and having no choice but to succeed I realised that I had to change my mind, and my approach, about what I could believe could be possible, to get better results. I take a balanced approach in my health program, it combines Western Medicine with Complimentary Medicine and that has worked really well for me. At first there were many weeks of just waiting for any movement to return. That was the hardest and darkest time of my life. Without the use of half of my body, I quickly learned about the power of my mind. But one day my left toe moved for the first time and it was in that moment I found hope. I started to focus on what I wanted, instead of what I didn’t want. I wanted to get my body and life - back. Working with a team of Neuro-Physiotherapists, My Neurologist and a Kinesiologist I didn’t just walk again, I ran in 6 weeks of that prognosis. I was so moved by my rapid recovery I made it my life's mission to understand the mind-body connection and how to maximise recovery from any setback. Now a qualified Sports Kinesiologist I dedicate my time helping other rebuild after illness, trauma and stress at my private practice Bend Like Bamboo. I specialise in autoimmune disorders and the emotional links to physical stress. Thanks to my volunteer role as an MS Ambassador for 9 years now, I am also speaker sharing my story of recovery with education on nutrition, mindset and movement. I truly believe that you can change your mind about what is possible for you. The best thing you can do for yourself when you are faced with illness, change or any set back in your life, is to give the mind and body the best environment to repair and thrive. Proceeds from the MS Dream Home Lottery provide support to thousands of Australians living with MS. The MS Dream Home Lottery offers a 1 in 15 chance of winning your dream home! A total of only 100,000 tickets will be sold. You win you choose, a $2.6M dream home in a location of your choice or $2.6M in gold. Each ticket has a 1 in 15 chance to win from over 6,600 amazing prizes from a total prize pool valued at over $4.2M. The earlier you purchase the more chances you have to win a prize. Great prizes, great odds and all for an incredible cause. Get your tickets at msdreamhomelottery.com.au today.